Please note this is a special/bespoke item manufactured specially for Stakrak, for this reason it is non-returnable. 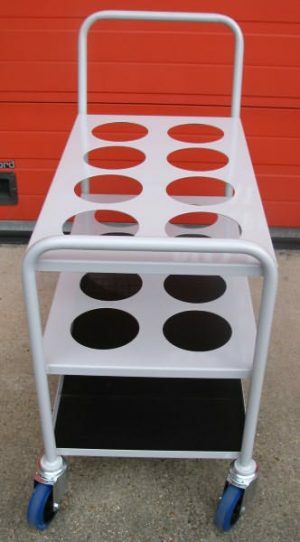 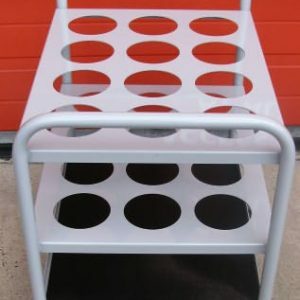 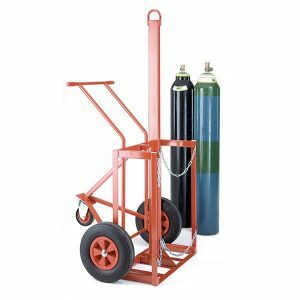 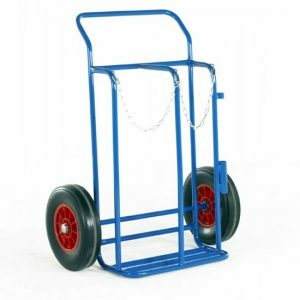 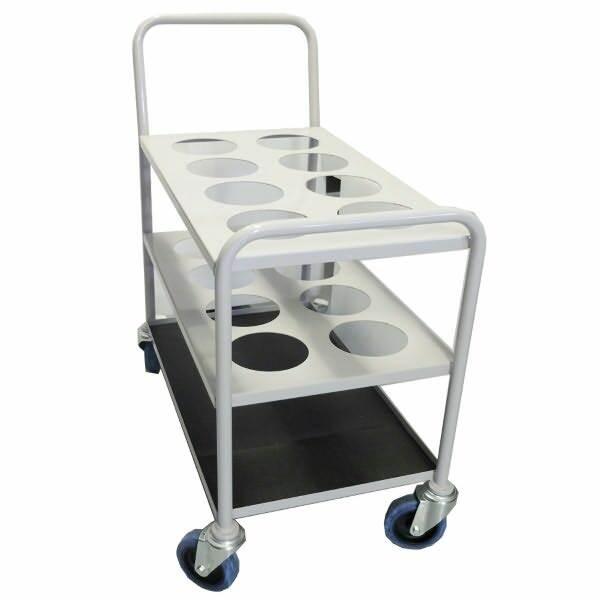 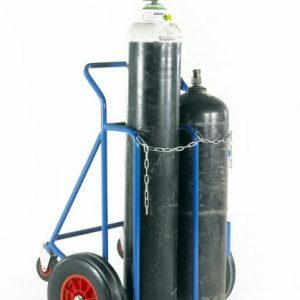 Small Cylinder Trolley that has been designed to safely transport 8 Oxygen medical gas cylinders. 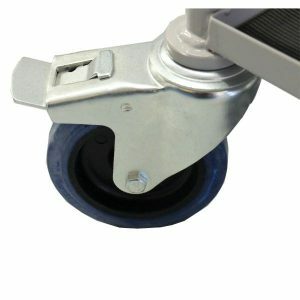 The lower level is covered with a rubber cushioning to prevent slipping. 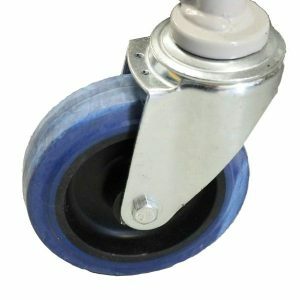 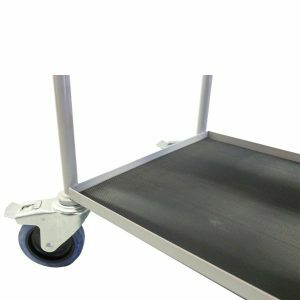 Mounted on 4 swivel castors (2 braked) with non-marking wheels and roller bearings. 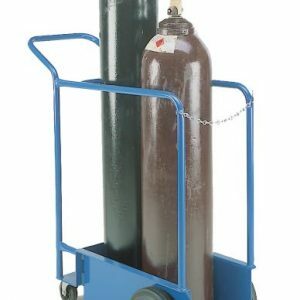 If you require storage for D or E Oxygen Cylinders, please see our other product.